How would you feel if idly was no longer available in Chennai!?! Or if all those who served idly started serving another dish from Hyderabad!?! Something similar is happening to the humble 'Nombu Kanji' or Rice Soup that was forever the source of first sip to cool down the fasting stomach! Loaded with rice, spices, but still mild enough, the Rice Kanji was something that most people fasting in Chennai, grew up with. Now, its fancy cousin from Hyderabad, the Haleem has made this a push over. But even today in most mosques, you do get this. Besides the mosques, I believe the only restaurant still serving it, is Jewelbox at Blue Diamond. After a couple of disastrous fast breaking attempt with a combination of poorly planned menus and atrocious food for days 2 and 3 (day 1 is always at home slurp), my fourth Iftar (fast breaking time) at Blue Diamond was a saviour for the tummy. Last year, the combo was ridiculously priced at Rs. 125, but this year, it has changed with more stuff and priced at Rs. 210. The combo gives you the mutton 'Nombu Kanji', cut fruits, dates, 2 pieces of Parota, Egg Gravy and 2 pieces of Chicken 65 and a small bottle of mango juice. Not bad. Considering I had some spicy overloads of poorly planned menus that tortured my stomach after a 14 hour fast, the Iftar at Blue Diamond was a welcome. When I searched online for places to breakfast, most websites had only the Fisherman's fare, Zaitoon and Palmshore, while IXAGO showed Blue Diamond in the first place calling it stubbornly holding in onto the Nombu Kanji. I agree whole heartedly. Oh, before I forget, the nombu kanji was OUTSTANDING! 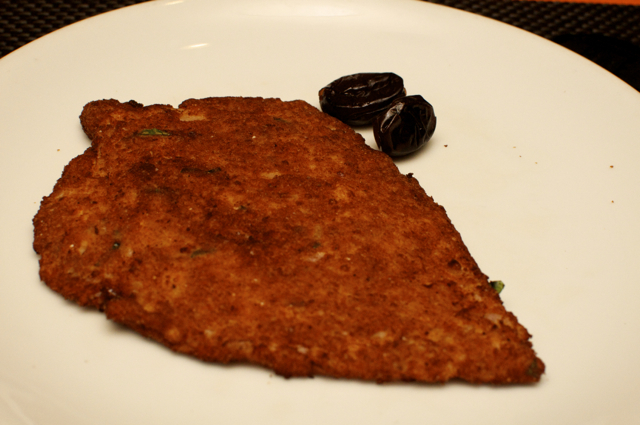 While this year, they have removed the cutlet, I ordered it off the a-la-carte menu along with Idiyappam Biriyani. The chicken cutlets here are out-of-the-world, just ask for it done thin. Yes, they will understand. 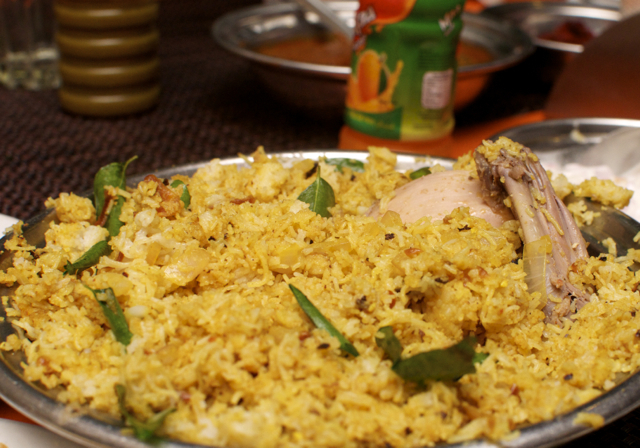 The Idiyappam Biriyani is not really biriyani and while it is tasty, it needs to be renamed. But for me, Blue Diamond is all about the Nombu Kanji and Cutlets. 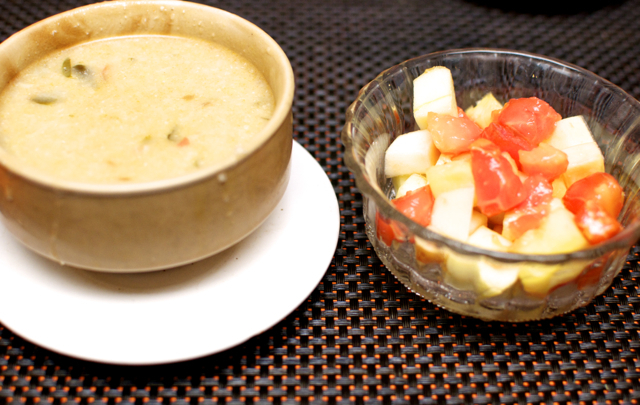 The parota and gravy ensures that you don't need dinner and can go straight to early morning food to start fast for the next day! Blue Diamond is on Poonamalle High Road, opp where old Dasaprakash was.